Well known for their quality LED bulbs but now Megaman downlights are making their mark across commercial and domestic scenarios. 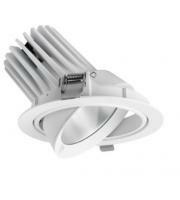 The Megaman range of all in one LED downlights enjoy the perfect balance between aesthetics, function and practicality. They are super easy to install and have been fully tested to stay inline with all the relevant safety regulations. 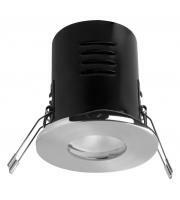 Our Megaman downlights come in various shapes and sizes. 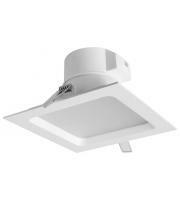 Most have been engineered with fire rated capabilities and many offer dimmable compatibility. Megaman are a leading and instrumental name inl in the LED revolution, their product development is second to none and they’re always bringing out quality models whether they are bulbs, lighting controls or new downlights. 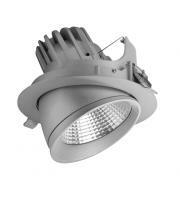 Our all in one LED downlights are a fantastic option for people that want to kill all the birds at once. 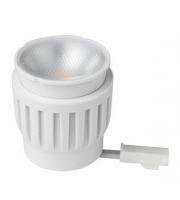 Already integrated LED lamps helps to save you time, energy and money sourcing individual bulbs. Many of them come with onboard drivers or can be hooked up to a mains connection. 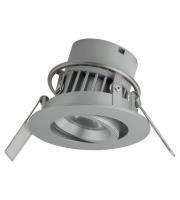 Our new Megaman downlight range consists of Vito, Carlo, Siena, Versofit and many more models. 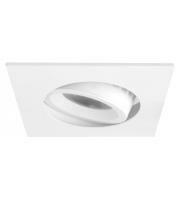 Each downlight comes with a different finish and colour helping to tie in with your existing or pre-planned interior themes. 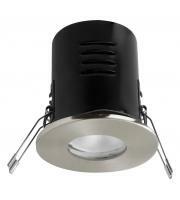 It’s not only the good looks that are impressive because downlights by Megaman are as resistant as they come. 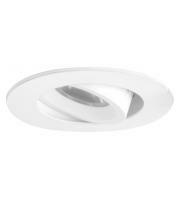 With a general 3-5 year warranty timescale and 30,000 - 50,000 hour lamp life on each downlight; you are sure to get your monies worth. It’s essential that if you want a long lasting light that can withstand constant use you’ll need to buy from quality brands - Megaman being one of them. 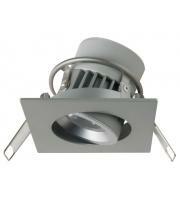 All in one downlights are becoming a real sensation for homeowners as well as the electricians that install them. The fuss-free installation process is a major attraction. The lighting power involved in some of Megaman’s LED downlights is amazing. They provide some of the strongest and brightest beams available on the market but do this with energy saving firmly in mind. 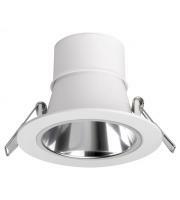 So if you want the newest LED technology to hit the industry then take a browse through our Megaman downlight range and you won’t be disappointed.